CoVEXlabs ICO are developing a multi-use platform for cryptocurrency exchanges, payment gateway services, and ICO development all within their exchange and social trading platform. Their initial inspiration seems noble enough: taking the best of what’s out there in the crypto world and bringing it together under one roof to be accessible for all. Their platform could be the next step in integrating the cryptosphere into daily dealings. As they promise passive returns for simply holding their currency, a key question is: who are they targeting for investment (whales or, ahem, minnows)? There is also the perennial thorn in the side of security, and when we are talking about building an exchange, the safety of funds is right at the front of everyone’s minds. Built on the Ethereum ERC223 smart contract platform, coVEX emphasizes a user-friendly interface, within which their R&D team is building a copy trading solution to bypass some of the technicalities involved in crypto-trading. The key features detailed are: volatility alerts, high-spec. trading tools, market & news updates, and dedicated customer support. 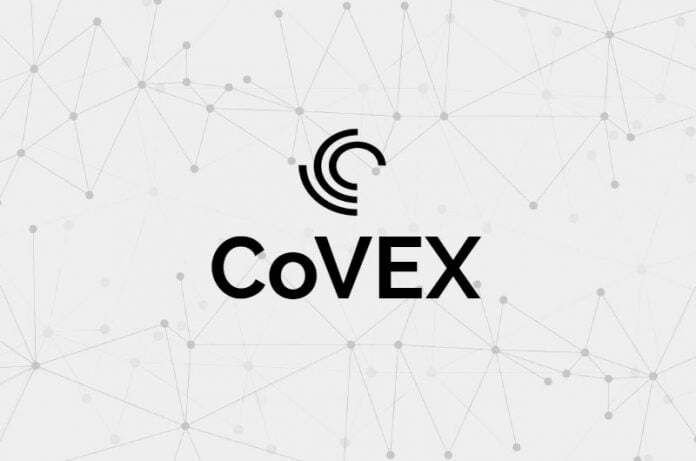 coVEX also places value on the social angle between traders and information sharing, with the aim to utilize this connection on their hybrid platform. Traders can exchange currency while sharing ideas and copy trade skills as well as competing with trades. coVEX goes a step further compared to other exchanges by distributing the daily fees between their coin holders: a form of passive income for those holding their currency. Their distribution gives over 80% of coins to the exchange with 15% reserved for staff so that is potentially high returns for larger investors. Why Would People Migrate to coVEX? The main advantage coVEX will have over other exchanges is that it is multi-featured and more than just a trading platform. They are also offering incentive for stake (IFS) for coVEX token holders and token rewards for referrals. Providing the majority of investment isn’t absorbed by a handful of whales, then this is a sound incentive. They also have an ambitious road map including listing over 100 currencies within months of launch, believing that their token will become one of the most highly distributed Ethereum network coins. coVEX have ambitious plans and their philosophy is in line with the blockchain ethos of democratization, decentralization, and distribution. But competition is strong, and convincing people to migrate onto a new exchange platform will be challenging. Wrestling regular traders away from the titans of coincheck, binance and coinbase (not to mention altcoin exchanges) will be hard work, even with recent security issues. The plot thickens with other users’ preferences to use cold wallets (removable smart wallet storage) for their added layer of security. “Exchange” and “hacked” have to be the most nerve-racking words in the cryptosphere when put together. With estimates of over $1 billion USD stolen in the first half of 2018, security has never been more important. When considering that significant value will exchange hands daily over their platform, coVEX have got their work cut out to secure their system and reassure their followers that it is tamper-proof even before their ICO launch. coVEX are integrating encrypted SSL on HTTPS with trusted IPs and 2-factor authentication across their platform (laptop, desktop, and mobile). Having the security in place is one thing; assuring would-be investors is a whole other. coVEX are aiming for users to treat their platform as the one-stop mall for all things crypto-related, and they have to build huge levels of trust to see this happen. coVEX is splitting their main sale with the first in July followed by another in September and with comparatively generous bonuses (including during the presale). 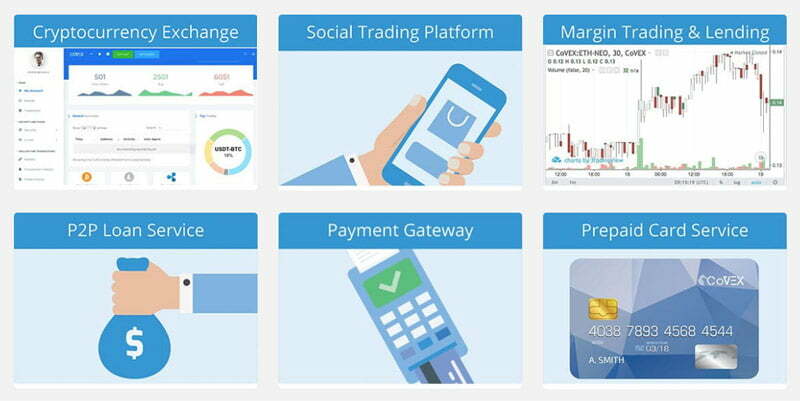 According to their road map the exchange alpha version is built and a live demonstration will be made available around the time of the mainsales, with the platform going live at the end of the year. Overall, coVEX has an ambitious yet laudable vision to bring the cryptosphere closer into the fold of people’s daily lives. The main question we are asking is: are people ready yet? coVEX may be welcomed with open arms, or it could be met with hesitation and unreadiness. Here at ICOBattle, we are hoping for the former and certainly not the latter.